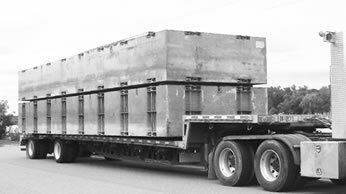 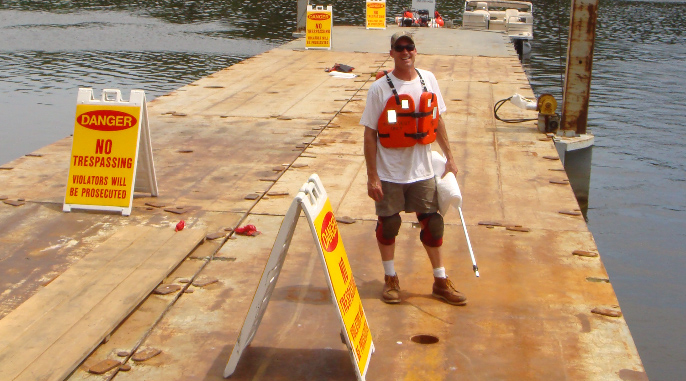 Wolf’s Industrial Marine Supply Company (WIMSCO) provides portable, interlocking, Sectional Barges for rent and for sale. 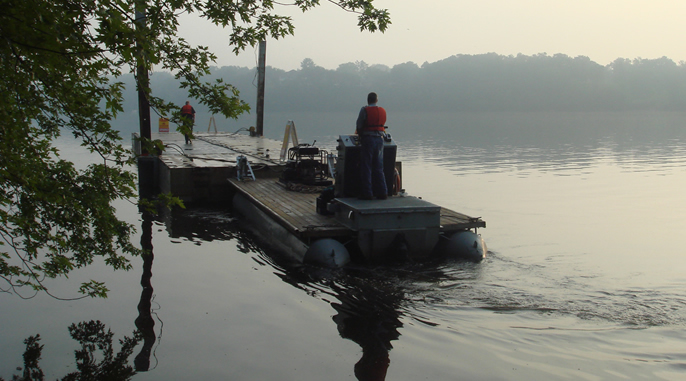 All components of our Univessel Sectional Barges are designed to be truckable, making them the ideal solution for a wide range of applications for inland lakes and rivers across the Midwest and Central United States. 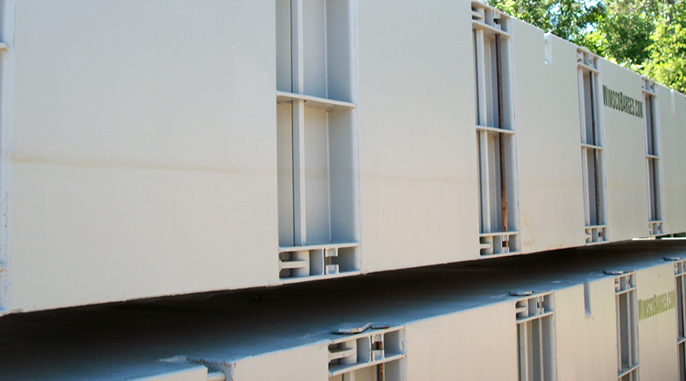 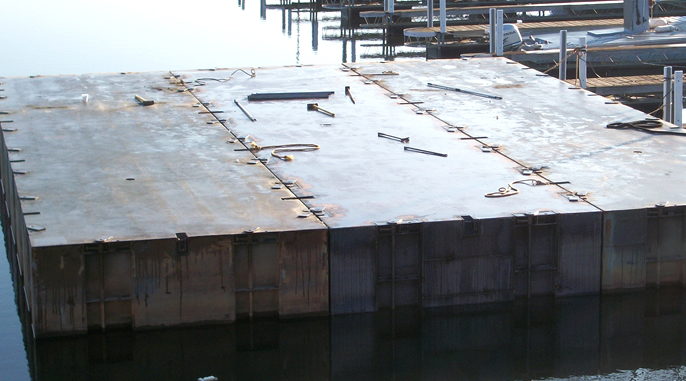 Univessel Sectional Rental Barges can be quickly connected, creating stable platforms of varying shapes and sizes. 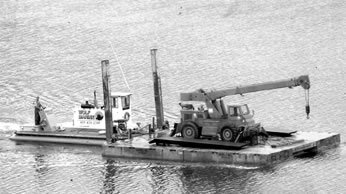 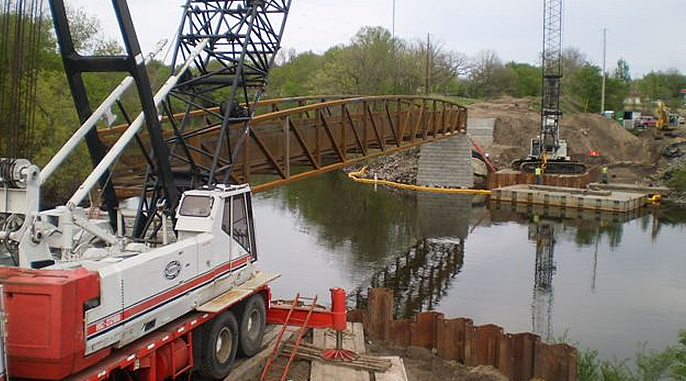 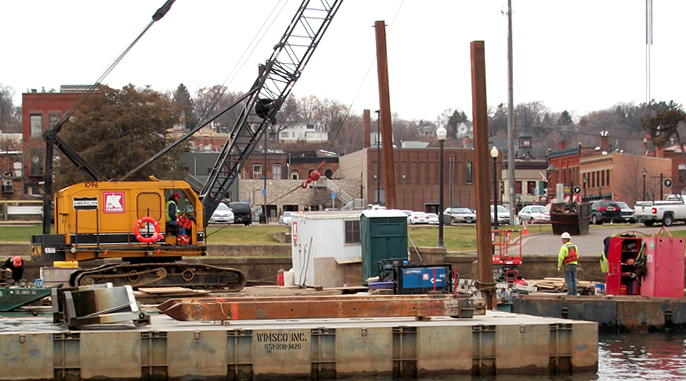 In addition to barges, we provide a full line of accompanying equipment, including spud wells, spud poles, winches, hoists, hydraulic power packs and boats.